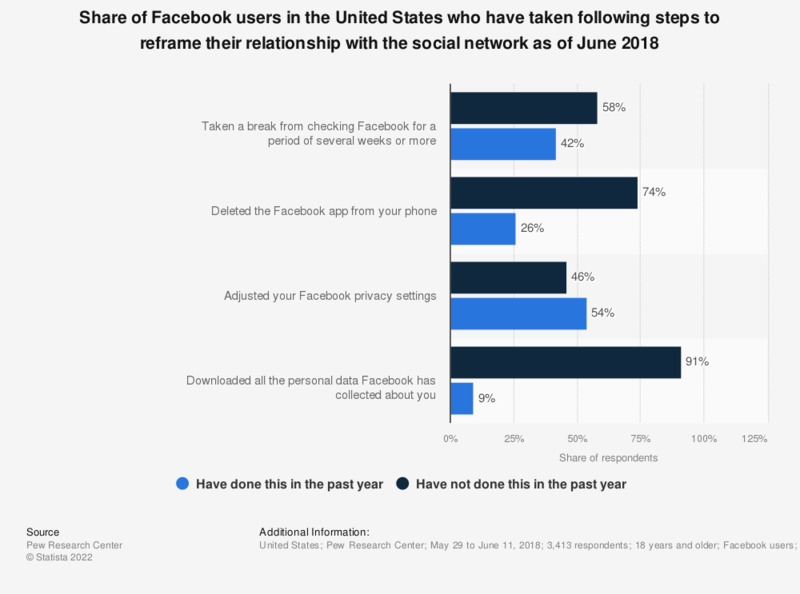 This statistic presents the share of Facebook users in the United States who have taken following steps to reframe their relationship with the social network as of June 2018. During the survey period, 42 percent of respondents stated that they had taken a break from checking Facebook for a period of several weeks or more in the past year. How does your Facebook use now compare to your Facebook use a year ago?